The feast of St Nicholas, Cardiff. 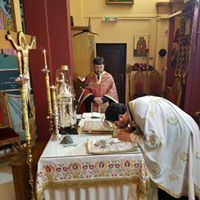 Veneration of the relics of St Nicholas. Father Tim and a small contingent of the Lampeter community were honoured to celebrate vespers and the commencement of the feast of St Nicholas with our friends in Cardiff last night. 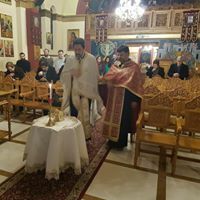 Father Luke and others from Llanelli will join them for further celebrations and the Divine Liturgy this evening, see here for further details. A vespers service will take place in Lampeter this evening at 6.15. See you there. 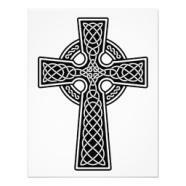 Happy feast day Nick! 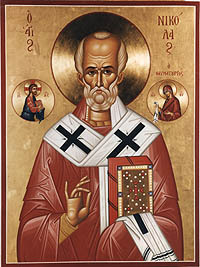 St Nicholas the Wonderworker, pray for us!